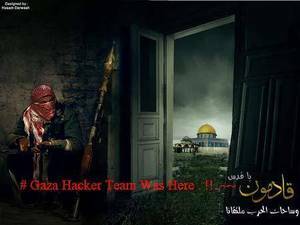 Team called 'Gaza Hacker Team' communique demands release of Palestinian prisoners, end to settlements; Knesset cyber-security reacts to breach within minutes. Knesset is the legislative branch of the Israeli government, the Knesset passes all laws, elects the President and Prime Minister (although the latter is ceremonially appointed by the President), approves the cabinet, and supervises the work of the government. In addition, it also recommends a candidate for the State Comptroller to the President, who appoints someone to the post. It also has the power to waive the immunity of its members, remove the President and the State Comptroller from office, remove a Prime Minister convicted of an offense involving moral turpitude, and to dissolve itself and call new elections. The Prime Minister may dissolve the Knesset. However, until an election is completed, the Knesset maintains authority in its current composition. Knesset members annually convene for plenary assemblies, or plenums, for two annual sittings of at least eight months' duration. The two sittings together form a session. The Knesset may be convened at any other time if thirty or more members demand this in writing or if the government requests. As well as approving or rejecting proposed legislation, the plenum also elects the Speaker and one or more Deputy Speakers.